As the Church continues to discuss the highly charged topic of boys, girls, and altar serving, there is one opinion that appears to be as prevalent as it is wrong. Many Catholics advocating for altar girls do so based on an incorrect appeal to obedience. Their argument: since Rome permits girls to serve now, there is nothing more to discuss. In fact, some contend it is wrong to even question the current practice. However, whether or not girls should serve at the altar is actually an ongoing process of discernment. This is what too few understand. Just because canon law permits girls to serve does not mean that pastoral discernment ceases. To the contrary, now more than ever this discussion is needed. Bishops are free to admit female altar servers. Only a diocesan bishop can decide whether to permit female servers in his diocese. No priest is obligated to have female servers, even where the Diocese permits it. No one has a “right” to serve at the altar. 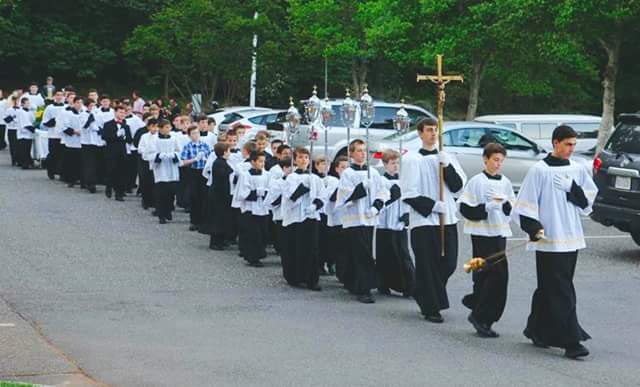 The obligation to support groups of altar boys will always remain due to the well known assistance that such programs have provided in encouraging future priestly vocations. That this is an ongoing matter of discernment, and not something already determined once and for all, is evident from the letter issued by the Congregation. It is a failure on the part of the faithful to grasp this which can lead to confusion and controversy when a pastor reinstates the traditional practice at his parish. With each new pastoral assignment and with each episcopal consecration comes the responsibility to honestly revisit this modern innovation. Additionally, every Catholic father with daughters must discern this for his own family as well. As clergy and faithful alike continue to learn more about the history and the purpose of altar serving, let’s hope that constructive discussions are not stifled simply because some consider the issue closed. Indeed, ongoing discernment of this is by far the most prudent path for the Church. An earlier version of this article appeared at OnePeterFive on February 2, 2015.